Life is not about waiting for the storm to pass, it's about learning how to dance in the rainWhat does happiness mean to us? Where does it come from? Can we really decide to be happy? We are all chasing happiness. We spend our lives searching for that one thing we think will finally make us happy; that promotion at work, those amazing shoes, having the perfect home. But is happiness something deeper than that, more fundamental? How can this deeper happiness be achieved? 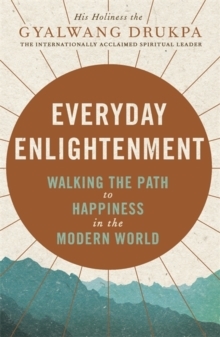 His Holiness the Gyalwang Drukpa reveals that the secret to happiness lies in the mind. 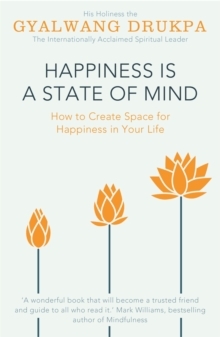 Exploring the simple ways we can train our minds to recognise a happiness that is already there, he gives us the tools to calm anxiety, let go of expectations and embrace an appreciation for life as it is, rather than as we feel it should be. 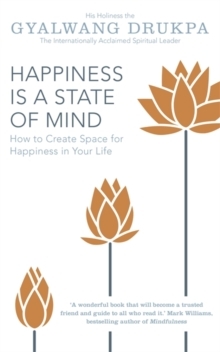 Happiness is a State of Mind is the toolbox you need to live a more fulfilling life. Choose to make today a happy day.